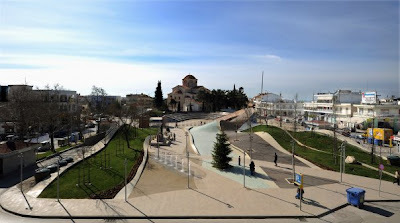 Episode 02: “MOVING SURFACES generate public space” is inspired by the redesign of the Central Square of the Municipality of Thermi, one of the most interesting urban design projects realised in Greece. The dynamic form of the square is the result of the use of specific digital animation techniques. 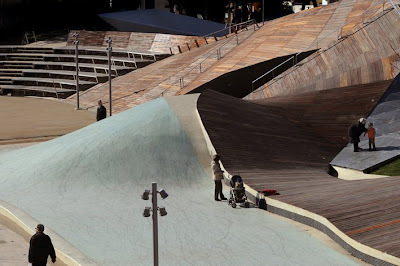 Its form is a new material expression, a result of the dynamic behaviours and actions performed. 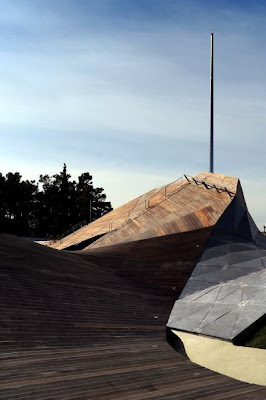 The informal architecture of the oblique and the imbalance is tempting its users to interact with its folded surfaces and provokes new behaviours and unexpected programs. 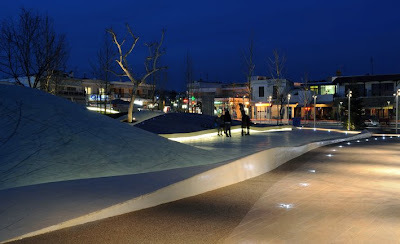 The project has recently received a Distinction at the Architectural Awards 2008 of the Hellenic Institute of Architecture. 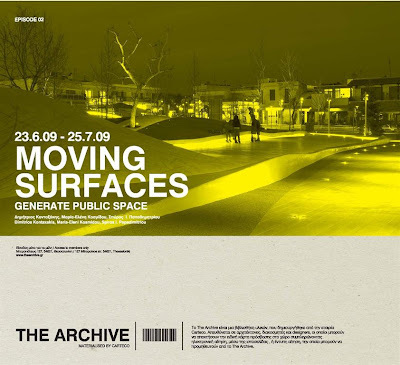 In the hybrid enclosed space of the Archive the architects of the square, Dimitris Kontaxakis, Maria-Eleni Kosmidou and Spiros I. Papadimitriou are going to present an installation, through which they will explore a different way of exhibiting a built architectural project. The installation is a deep surface that embeds the required information for the exhibition and at the same time becomes an exhibit itself by generating a new spatial experience in the interior of Archive. The opening of the exhibition will give an opportunity to the members of The Archive for another creative meeting. Carteco, the company behind The Archive will regularly renew this appointment through the hosting of interesting architectural events and projects.